The Continental Hotel in the early twentieth century. 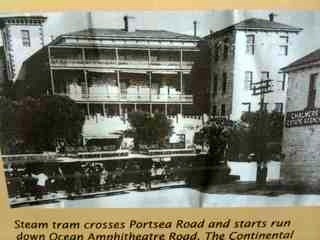 Trams (seen in photo) would take day trippers from the ferry in Port Phillip Bay to the Back Beach and surf. It was a great day out. The Continental Hotel as it is today. First of all – much thanks to Jeannie Egan, family historian, who supplied most of this information. William Hughes, a limeburner. 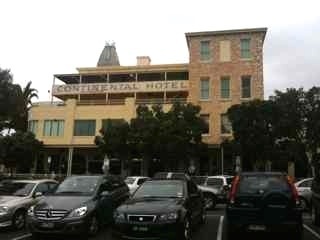 built the Continental Hotel in Sorrento Victoria, and, for a time, was the licensee. There was some connection with the dominating historical character of Sorrento, George Coppin. To this day (2014) a window looking out to the street has his name recorded – William Hughes– as being one of the licensees. 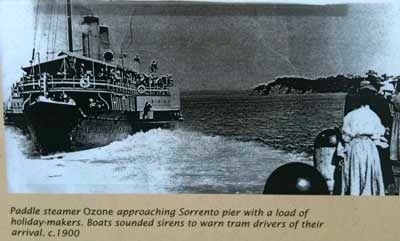 In the late nineteenth and early in the twentieth century Sorrento was the thriving holiday resort of Melbourne. There was no road. Steamers and other boats would take celebrities (Dame Nellie Melba, Harry Lauder) across Port Phillip Bay to Sorrento for holidays. Steamers came on the day trip from Melbourne. Day trips were popular with the populace of Melbourne. A special tram would pick up visitors at the wharf on Port Phillip Bay and take them to the “Back Beach” i.e the surf beach, 2 Kilometres across the Peninsula. 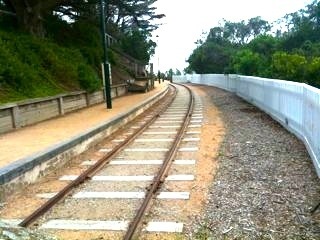 The original historical Tram Station has been preserved as a heritage site – by a donation from the Bardas family inter alios. My grandmother, Catherine Maude Doyle (Davidson) was a housemaid at the Continental (about 1905 when she was 16). One of her great memories was the day she found a gold soveriegn in the drawer she was cleaning out, and she was allowed to keep it – the equivalent then of a month’s wages. Oral history is that she met her future husband there – William Carruthers Davidson. They were married in 1913. Catherine’s sister Ada Doyle, according to Jeannie Egan, used to often go there when she was a young girl to stay on holidays. There was another sister Florence, who cared for Dally and Ken Messenger at 6 Henley St, Drummoyne after Dally II and Dorothy’s marriage broke down (ca.1944). Henry Watts, an American, married Catherine Hughes sister of Anna Maria Hughes. Henry was, for a time, the licensee of the Sorrento Hotel – the other historical hotel in Sorrento. Catherine Hughes later married Frederick Mastin, a dentist. Family tree extract is above. The Argus (Melbourne,… Monday 26 May 1924, page 16. 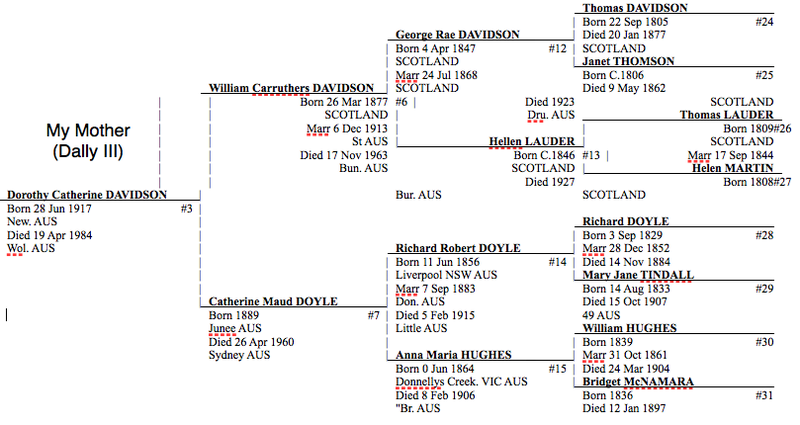 News 3995 words … William Hughes, who died at Waratah, is well known here. His father built and owned the Sorrento Hotel the Continental Hotel, and Oriental House lrom limestone quarried from his own lime pit*.-Fort … connection with the Sorrento branch of the Alfred Hospital Auxiliary la to be held on June 3….